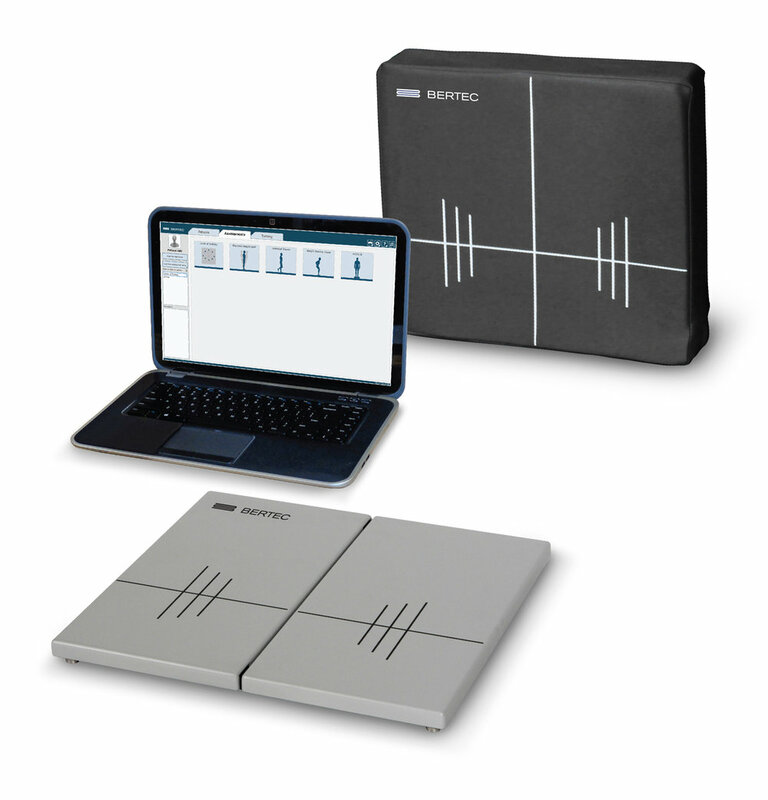 The Bertec Portable Essential provides a variety of assessments, including standard static balance tests, weight shifting, and optional higher-level balance testing for athletes (COBALT). Static balance and weight shifting activities can be easily integrated into a customized therapy program. Integrate our complete battery of assessment and training options into a customized therapy program for patients suffering from dizziness, balance problems, and neurological challenges. Benefits include: objective assessment of balance with normative data for comparison; five assessments and five training menus; flexible training menus with hundreds of options; real-time parameter changes; and standardized protocols. Human balance relies on a complex control system. Bertec Portable Essential’s dual-balance plate captures minute shifts in balance and provides information on the asymmetry of loads of the right and left foot, allowing for more versatile assessments and accurate measurements. When paired with a laptop, Bertec’s highly sensitive, low profile dual-balance force plate, powered via USB, is a vital part of your clinic’s day-to-day practice. The lightweight design allows you to extend balance services beyond your clinic's walls and into home health, bedside, and community health programs.